Phew! Do you feel like an emotional husk after yesterday's big wave carnage and confounded trying to keep up with a blast of events happening at the same time? Spike summarises for us. What a crazy day of surfing, and its been and will be happening today, again, at the business end of the surfing and SUP season. Stephanie Gilmore just won the women's WSL Championship Tour after surfing in one heat but the clincher for her was when main challenger Lakey Peterson was eliminated from the Beachwaver Maui Pro in cranking 8 foot surf. Then, Keana Kennelly won the women's BWT last night by trying to commit hara kiri on waves already bordering on tow only. The same went for the men afterwards. Even they were in way over their heads, so to speak. 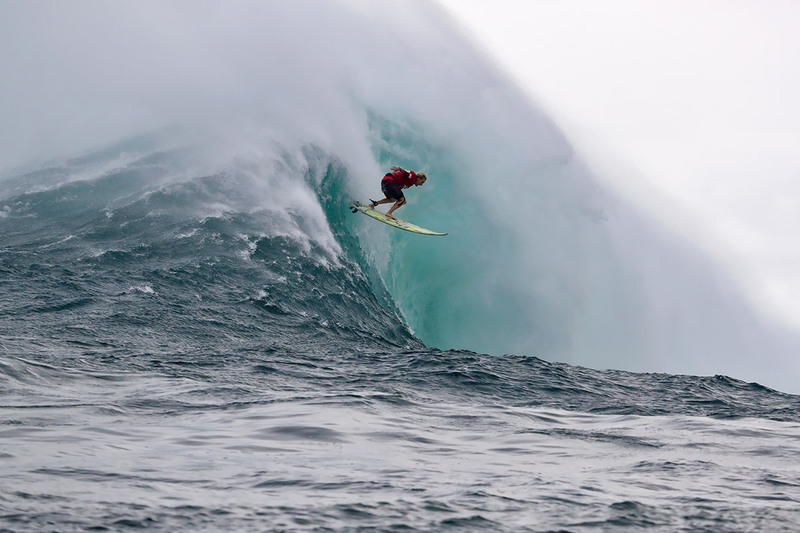 Did you know they called off the men's event not because they thought it too dangerous (at first) but because they literally 'lost' Russel Bierke at Jaws last night? For me, the red light was already flashing like a strobe light watching the women's suicidal commitment. Gut wrenching stuff! Then we had to watch the same trait to end life as we know it by the men. Was that barrel that Twiggy planed into - a hair's breath away from another flotation vest-ripping, bone-snapping over the falls death dance - the biggest barrel paddled into in the history of .... like everything? It was insane. Well, we have more of the same tonight. Tighten your britches bru, stomach in, chest out! Try stock up on adrenaline after it was sucked dry last night. Today is a busy day in the water world of waves and SUP. The Vans World Cup is on at Sunset beach and Jordy Smith joins six other Saffas in the lineup (and seven if you count Benji Brand), with Jordy winning his Round 1 heat and leapfrogging Round 2 direct to Round 3. Dylan Lightfoot, Mikey February, Adin Masencamp, Matthew McGillivray, Beyrick De Vries, and David van Zyl are all through to four-man Round 2 heats with the top two joining the top two who went direct to Round 3. Oh, and Sunset is fire ing. The ISA World SUP and Paddleboard Champs just wound down the day in China, with the SUP Surfing done after Riyue Bay was fed by waves from a typhoon. Sadly, despite a good show, Thomas King dropped out in Repecharge Heat 7, two heats from the final. But he's into the Men's technical race repercharge, as is Kimon dos Santos, which is one heat from the final. Tarryn King has made the women's final main event of Technical Racing, with Tamsyn Foster into the repecharge. Then there's the Taiwan Open World Longboarding Champs running in a parallel time zone in Taiwan. Four Saffas are there. Steezy Sawyer (24) of Jeffreys Bay, Sam Christianson (20) Alfonzo Pieters (29) and Chrystal Hulett (22). Matthew Moir had a wildcard entry, but apparently has too much work going on, and couldn't attend. Even without Mouse, this is the most experienced group to attend a WSL Longboard Championships. Steezy Sawyer, despite breaking his board and taking a sip of piss in a bizarre bit of miscommunication, is through to Round 3 and is a big favourite. Muizenberg local Pieters was knocked out in Round 2, but Christianson prevailed in the last heat of the day a short while ago (11am SA time). Hulett is up early tomorrow. Jinsun Harbour has had lank swell, and the longboarders are ripping. In a first for the WSL, world champions from two separate disciplines will be crowned at the same venue when the WSL Junior Surfing Championships follow the longboarding from 1-9 December. 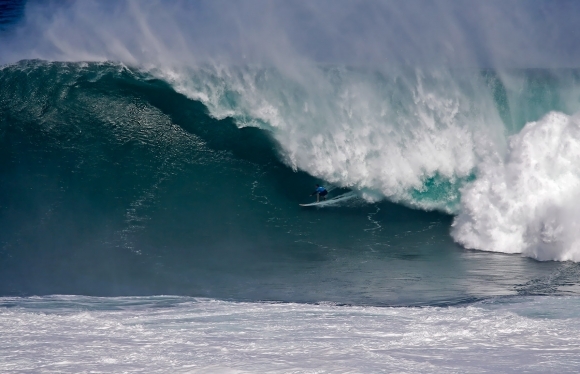 "Round 2" of the big wave surfing at Jaws (and conditions look just as hairy, though hopefully a little more benign) will be called at around 7pm this evening SA time. 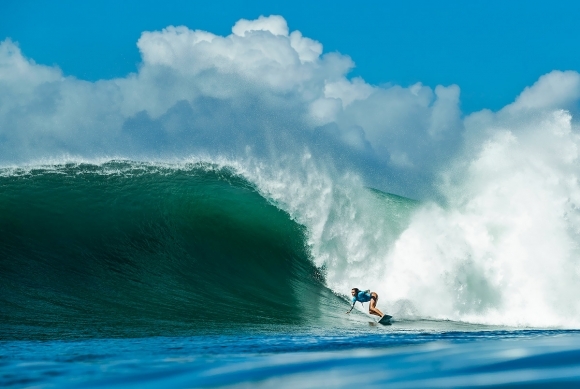 You'll be spoiled for choice, with the Vans Triple Crown event at Sunset also set to kickstart this evening around the same time, or a bit later. PLUS we have the women's Beachwaver Maui Pro continuing too, and the surf as you know is GOING OFF in Hawaii. By the way, amidst the women's CT world title excitement, spare a thought for Ventura native Sage Erickson, who was on the opposite end of the spectrum shored up by Gilmore's elation. Like Lakey, she was eliminated in Round 2 by Nikki Van Dijk, which means she fails to requalify for 2019. She also narrowly misses requalifying via the QS by one heat at the Port Stephens Toyota Pro earlier this month. Anyway, get the AV going, and get ready to bounce around to different events like a crazy person.